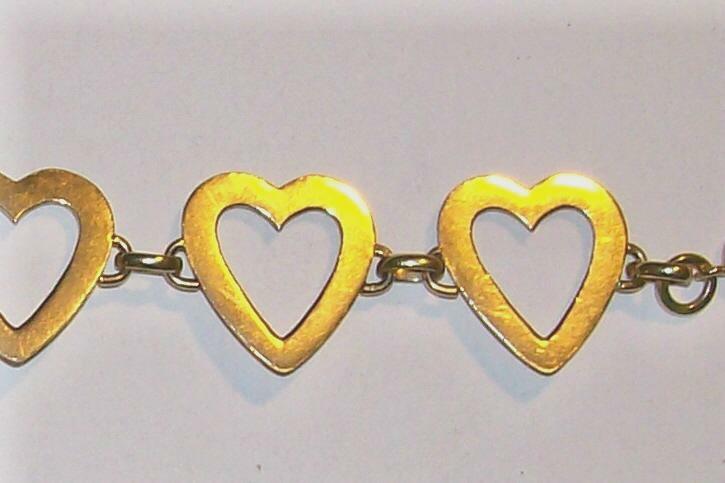 14K gold bracelet with open heart links that have a ribbed surface texture which catches the light beautifully. Plain back. Overall length of 6.25" with a weight of 11 grams. 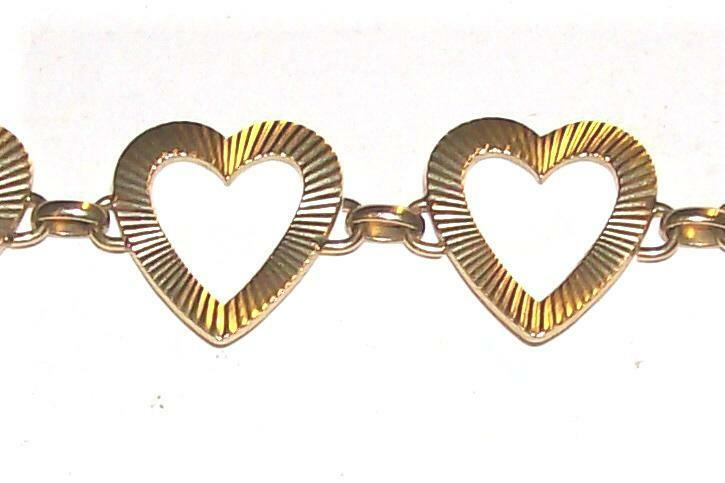 Unknown date and maker. Nice condition with no major issues. Inglenook Antiques...Established 1989. 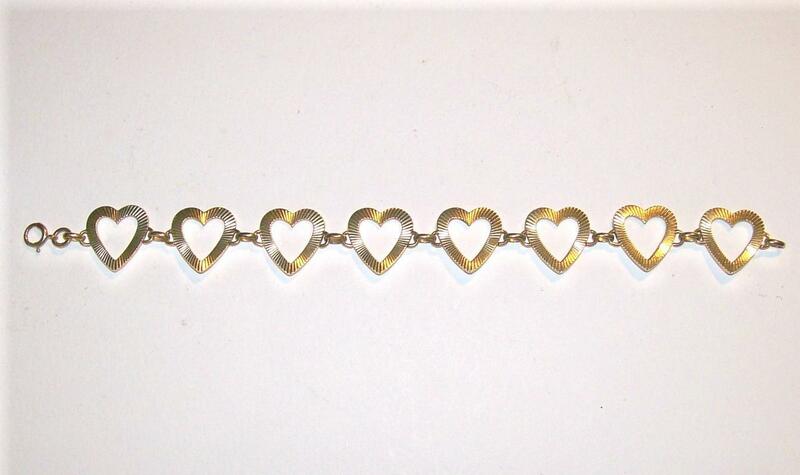 Items Similar To "14K Gold Bracelet String of Open Hearts 11g"